Please join us for our monthly zoning meeting, coming up this Wednesday, October 10th at 7pm. 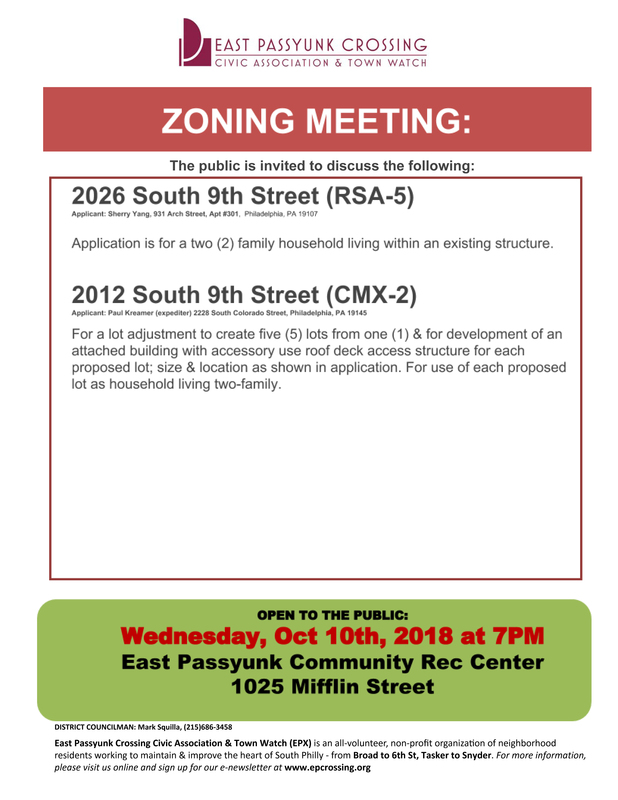 Meetings are held at the East Passyunk Community Rec Center at 1025 Mifflin Street. All are welcome to attend. See this month’s agenda, below.